So here we are on the precipice of a very big birthday. 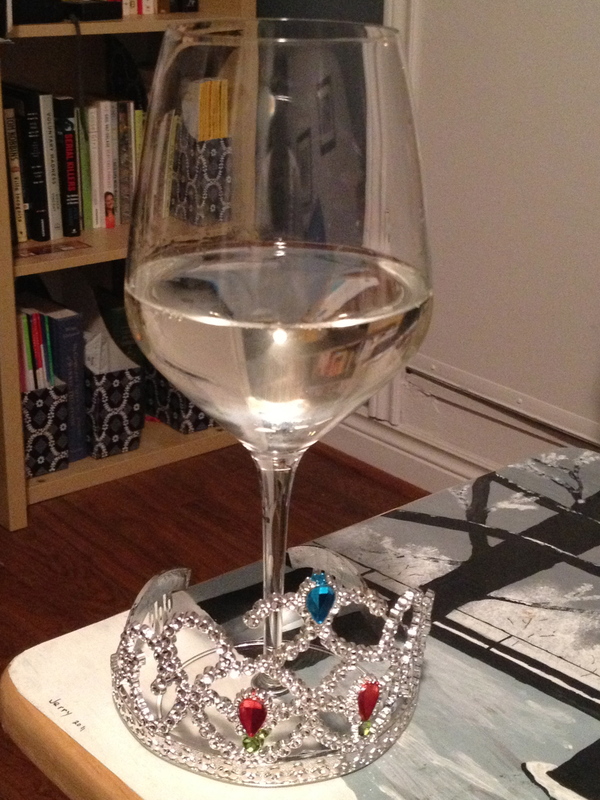 I turn 30 in t-minus 11 minutes, and I just may need to pour a glass of my finest cheapest wine and put on a tiara. Where the hell is my tiara??? 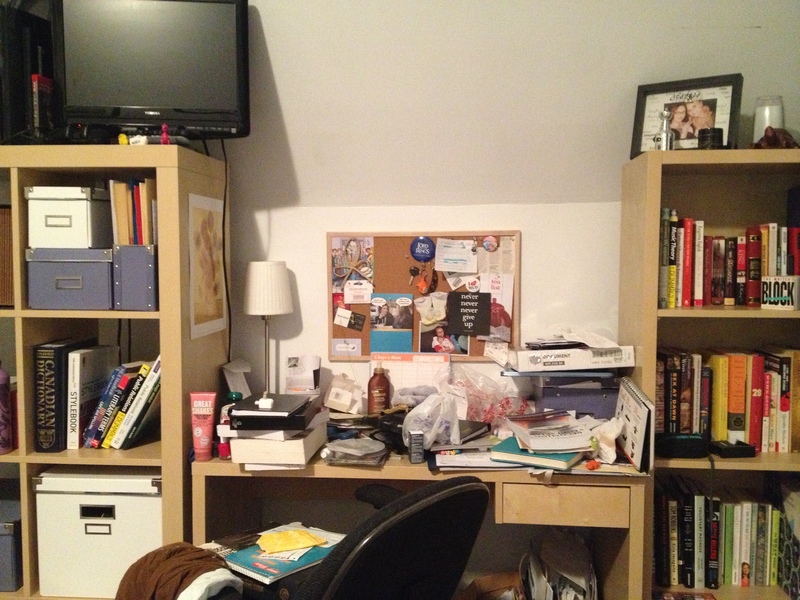 Birthday resolution numero uno: don’t be such a slob. Adults aren’t supposed to live like this (yes, that is my actual desk). 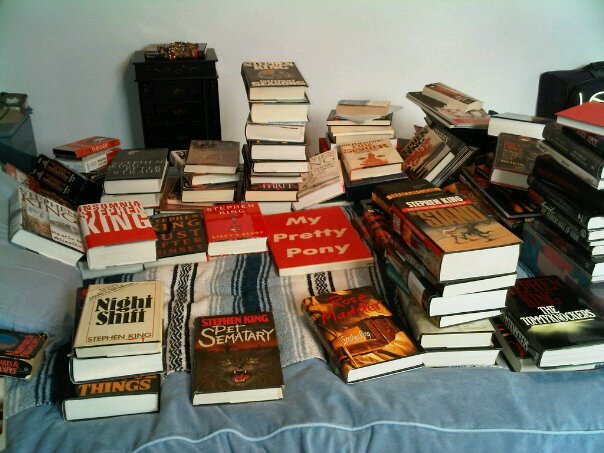 I’ve been told a few times my messiness is endearing (never by someone who lived with me), but more often I was assured it was something I would “grow out of.” Other things I was erroneously told would change as I got older include my nocturnal tendencies (if I had my druthers I would go to bed around 2 or 3 am), the way I eat (breakfast food is anytime food and sometimes cake is all you need for dinner), how much I procrastinate (I planned on cleaning and wrote this instead), my political affiliations, my thoughts on marriage (no thanks) and kids (I am a great sparent, but again, no thanks), and my love for Stephen King. Honestly, I’m glad I haven’t grown out of these things. Would it be nice if I could find clothes without rooting through a pile on the floor every day? Maybe. Would it change my life in any significant way? Nope. The things I did grow out of (or grow into) are the things that really matter. I spent my twenties figuring out who I am and what is important to me. I had an amazing university experience. I moved to a country where I didn’t know anyone or speak the language. I became a “real” writer. I worked at a company I wouldn’t have considered 10 years ago, and ended up with a career and my own business. I have cultivated an unbelievable circle of friends, for whom I am immensely grateful. My twenties were such an incredible ride, I can’t even imagine what the next decade has in store. Now, bring on the dance party!